Hello, everyone! I’m Lola, of Lola The Rescued Cat. My sister, Lexy, and I are very happy cats and we love our mom, our home, and our lives. Mommy says she knows we’re happy, even though we can’t tell her (because she doesn’t speak meow) so this gave me an idea for an article. 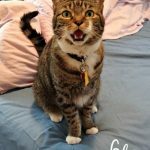 I thought I would put together five signs that tell you your cat is a happy cat. I do like to vocalize when I’m happy! 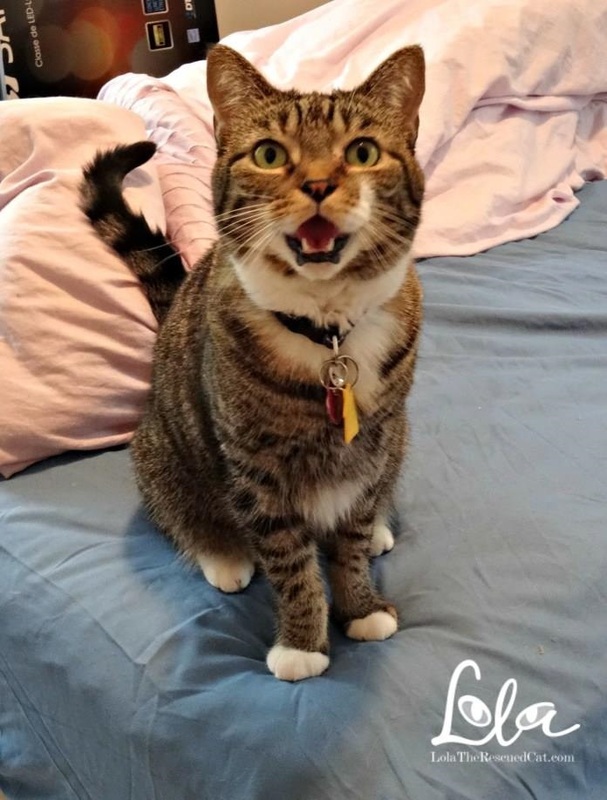 When your cat is being very chatty, she is telling you that she’s one happy kitty. I chose this to be number one because I am one chatty cat and I just love to meow with Mommy! I talk to her all the time about everything. I even have different meows – one for saying hello, one for asking her to pick me up, one for asking a question. You name it, I have a meow for it. It’s important to know your cat when it comes to this sign. Higher pitched sounds are generally happy, while lower pitched sounds can mean frustration or even illness. I also have a meow that says I’m not feeling well, so when Mommy hears this one she knows something is wrong. Now, not all cats are chatty like me. Take Lexy for example. She doesn’t meow very often, but when she does she has a happy meow. 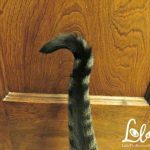 If you have a less chatty cat who suddenly starts meowing their heads off, be sure to take a good look to rule out that there is something wrong. ME (Lola) exposing my belly for a nice belly rub. This is Lexy’s favorite sign that she’s a happy cat. Cats are by nature great hunters, so when we bring you a little gift, it means we’re sharing our prize with you because you’re family and we want to provide for you. It also means we hold you in high regard! Now, sometimes our gifts may be a real mouse or a lizard. When this happens it’s best to remember not to reprimand your feline friend (then you won’t have a happy cat.) Lexy often brings her toy mouse or fish to Mommy, and Mommy always says thank you. Sometimes we both get her a real water bug. She still says thank you because she’s glad we killed it! A happy cat has a happy tail. In case you’re wondering what this looks like, I’ll tell you. 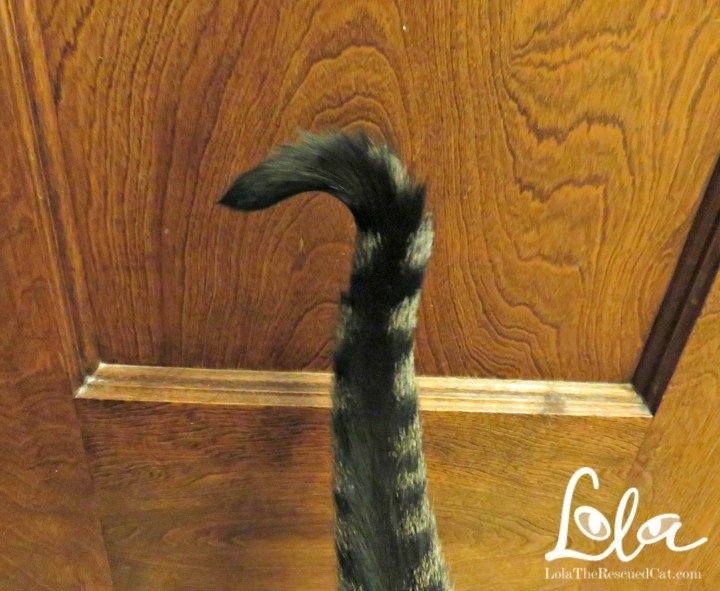 A happy tail is straight up in the air, or it’s the question mark tail. And if the base of your cat’s tail quivers (like mine does), it means we’re super happy. A sure sign of a happy cat is when a cat rubs her body against yours. Lexy’s head bonking time is always in the morning. She follows Mommy into the bathroom, sits on the sink and bonks away. She even paws at Mommy’s arm to get her attention so she can head bonk her. How sweet is that? I’m always rubbing my face against Mommy, and of course I lick her, too. All the time. I just love giving her kisses. Lexy has been giving Mommy blinks since not long after she took over the house moved in. So, there you have it. 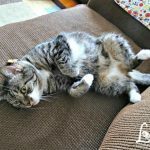 Five signs that your cat is a happy cat. (There are lots more, but these are my favorites.) How do you know your cat is happy? Share your stories with us! A cat is adorable they need special care and attention. Every cat owner should follow. The post is awesomely written, thanks for sharing. We’re so proud to be guest contributors on your blog! Thank you for including us. Thank you, Lola! We are thrilled to have your contribution to our site while Lori recovers from neurosurgery. She is doing well and hopes to be back online soon. 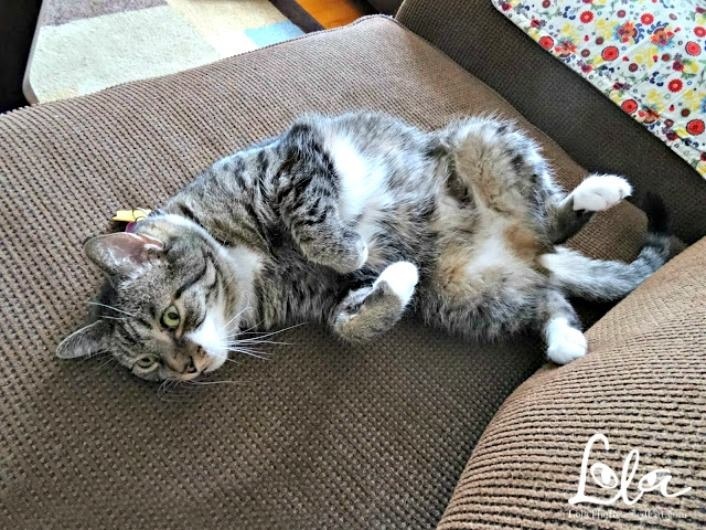 My cat Peanut Butter always had a happy tail when she was relaxed and safe. Many cats knead their owners as a sign of affection and trust.